Byblos Brezza Perfume by Byblos, As light and airy as the scent of spring florals wafting along on the breeze, Byblos Brezza is the perfect pick-me-up fragrance for all-day and everyday wear. This inviting perfume for women was launched in 2000 by Byblos. 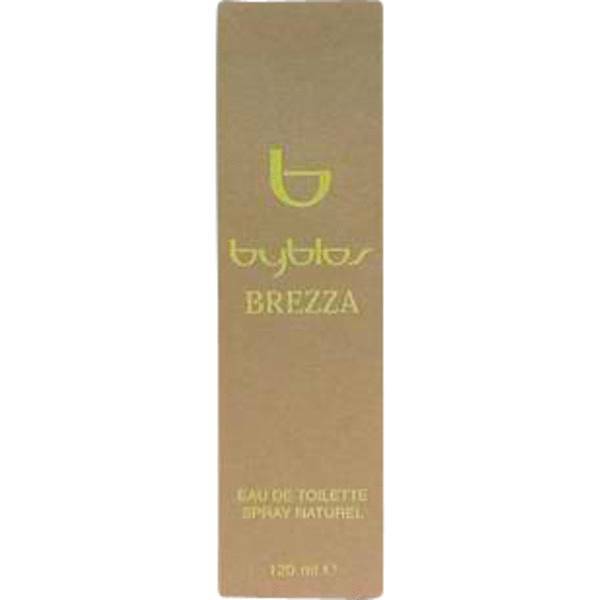 The top notes of Brezza are comprised of green-scented gardenia, cassis and heady and dark ambrette. Vivid carnation, sweet jasmine and fresh and sunny peony form to create the heart of the fragrance. The light floral aromas gain warming Read More Read More balance with base notes of sensual musk, softly oriental sandalwood and succulent peach. The Italian fashion brand of Byblos was created in 1973 with the goal of delivering modern and colorful clothing, perfect for optimistic and joyful women and men. While the brand was established by a group of stylists and was overseen by a number of head designers throughout the years, Gianni Versace notably created several collections in 1975 and 1976. The company made the leap into the world of perfume with the release of their first fragrance in 1990. All products are original, authentic name brands. We do not sell knockoffs or imitations.